Sometimes, reality might be highly unbelievable than fiction and here is the case of Boriska Kipriyanovich, a 21-year-old Russian young man who claimed to have his previous birth on Mars. 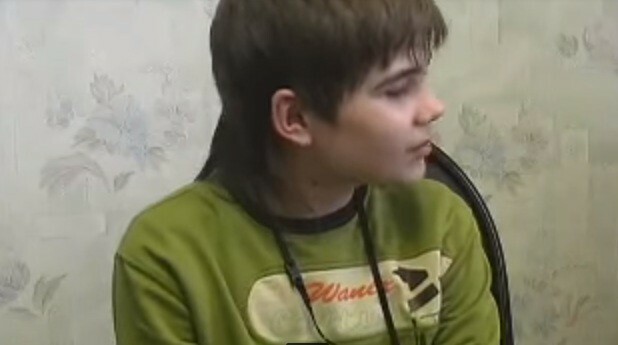 The young man, who lives in Volgograd, initially perplexed many when he showed impeccable cognitive abilities and in-depth knowledge about space in his childhood. Boriska's mother who is a doctor recollects that her son talked fluently just a few months after he was born. By the age of two, he started reading and writing, and soon he began to draw paintings depicting space and various cosmic events. His parents noticed something special about Boriska when he started talking about Mars in the most amused manner. Interestingly, neither his mother nor his father has ever talked to him about the Red Planet. "No one has ever taught him. Sometimes he would sit in a lotus position and start telling us detailed facts about planetary systems and other civilizations, which really puzzled me," said Boriska's mother. Later, Boriska revealed that he was born on Mars in his previous birth, and a nuclear war has devastated the entire planet. He even made it clear that he is here to stop such an event which may happen on earth. "No, I have no fear of death, for we live eternally. There was a catastrophe on Mars where I lived. People like us still live there," he said in a video interview. Boriska said Mars had once a very beautiful civilization until everything turned upside down after a thermonuclear war. According to him, the survivors of this dreaded war are still living in underground bunkers on Mars. The so-called re-born Martian made it clear that people in the Red Planet could grow up to 7ft tall, and they breathe carbon dioxide. He argued that Martians used to visit earth quite often and in these times, they respire with the help of pipes attached to their mouth. The young man claimed that he was a Martian pilot in his previous birth, and he has many times visited our planet. According to Boriska, there are many secrets surrounding the Great Pyramid of Giza, and complete understanding of these secrets could reshape the entire course of humanity. About Mars, "there was a nuclear war. Everything burnt down. Only some of them survived. They built shelters and created new weapons," said Boriska, Metro reports. India warned Sri Lanka about suicide bombings, but why didn't the island nation act?